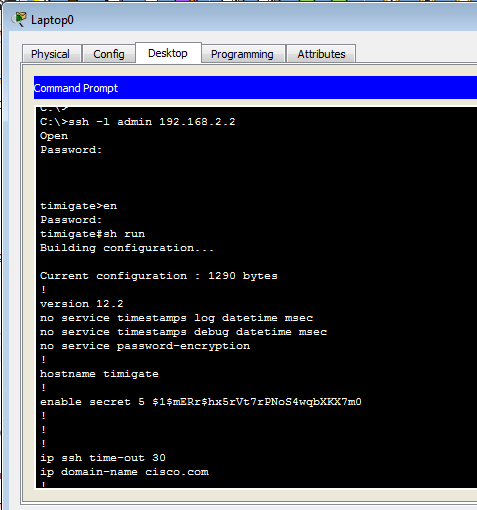 In this lab, I will share with us on how to configure a Cisco switch for remote management via ssh. One of the best things you can do as a network administrator is to setup your network devices for secured seamless login and non-complex logical management. One of my readers contacted me and requested for help in configuring his Cisco switch for remote management. What he pointed out specifically as his problem was that while he could login and manage his switch when on the same network with the switch, he could not do the same when connecting to the switch from a remote network. Having reviewed his requirements, I felt it would be nice to share the solution here so others can learn or refresh their minds from it, despite how simple it is. (i) Assign IP addresses, subnetmask and default gateways. The following configuration commands will the required to configure a Cisco switch for remote management. 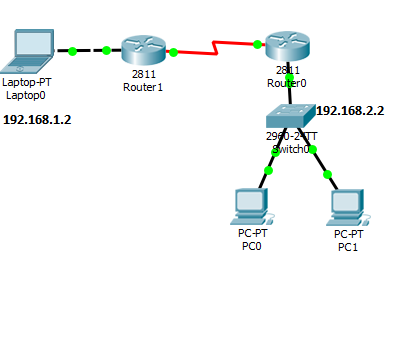 The commands used here a for the lab represented in the network topology used here. However, the solution can be achieved in many different ways. To verify that I have configured the Cisco switch for remote management via ssh, I try to access the switch using the laptop on the network 192.168.0.0/24 using ssh. Remember that both the laptop and the switch are on different networks. See the result below.